If the head of your company respects that, you are most likely very successful. But what if the head of your company happens to be a genius at both? Then you have Steve Jobs. When Jobs began his company in 1976, he had the vision to create a computer for daily life. At that time, no one even considered the idea. At that time the world’s most advanced computers were at NASA and the Department of Defense. Today, Jobs’ iPhone carries far more power than anything either of those entities held in 1976. His crystal clear vision was far beyond what anyone else could even imagine. His determination and success in making it happen gave proof of the value of that vision. Then came the Macintosh in 1984 and with it, what many consider the greatest ad ever. To think it only ran one time is part of its lasting genius. But it was a unique piece of marketing that only he could have created. Fast forward to the iPod. The mp3 player was already invented, but Jobs marketed it in a way that made it his. The iPod was an unfamiliar product with an unfamiliar interface. One would think an explanation of how it works would be in order. Not Steve Jobs, though. He never showed it, never talked about it. He only had silhouettes dance to it, earbuds in place. The iPod was instantly cool. 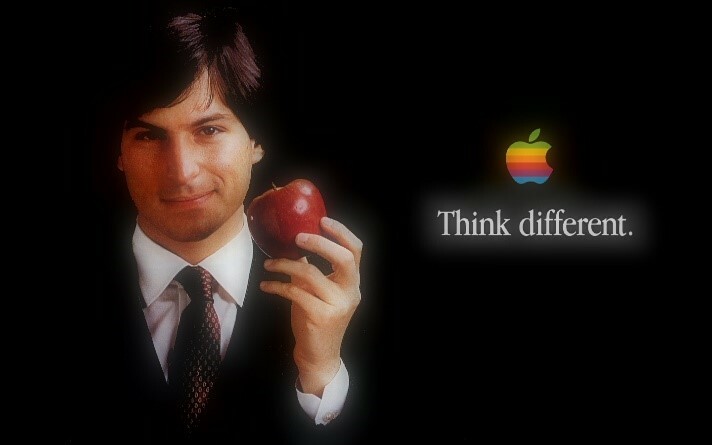 He later reinvented the telephone with the iPhone, reinvented the convenience of a laptop computer by removing everything mechanical from it with the Macbook Air, and now has revolutionized portable computing with the iPad. That doesn’t even mention revolutionizing product naming by adding an “I” in front of everything…that is after he revolutionized naming by calling his products by the least obvious names imaginable. Sure the Macintosh made sense for Apple, but Apple itself makes no sense, nor does naming his progression of operating systems after predatory felines. But that kind of thinking is what you get from a genius in innovation and markeing.